GASTONIA, N.C. – A Gastonia woman was arrested after she damaged a patrol car. According to a Gastonia Police Report, 39-year-old Tina Rathbone caused damage to a Gastonia Police patrol vehicle. The report states, Rathbone was acting disorderly and caused a disturbance at North Modena Street. She’s charged with injury to personal property and disorderly conduct. This is not Rathbone’s first brush with the law, in 2008 she was arrested for probation violations and cocaine possession. In 2007, she faced charges of driving while impaired. Her bond was set at $2,000. 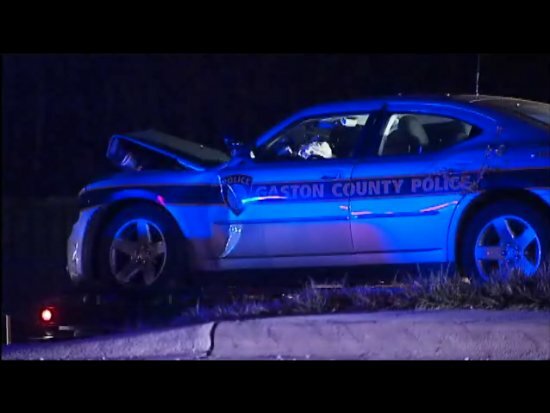 GASTONIA, N.C. (WBTV) – Gaston County police are investigating an accident that sent one of their own to the hospital. The accident happened shortly before 7 p.m. Friday on the 1000 block of Gastonia Highway in Bessemer City. Officers told WBTV News the officer, a woman, lost control of her car for an unknown reason…drove off the right side of the road and into a power pole. The impact of the crash snapped the power pole in two, and the car continued down an embankment and struck a business…causing minor structural damage to it. The officer was taken to the hospital where she is being treated for minor injuries, police said. No one else was hurt. Gaston County police have not released the injured officer’s name.